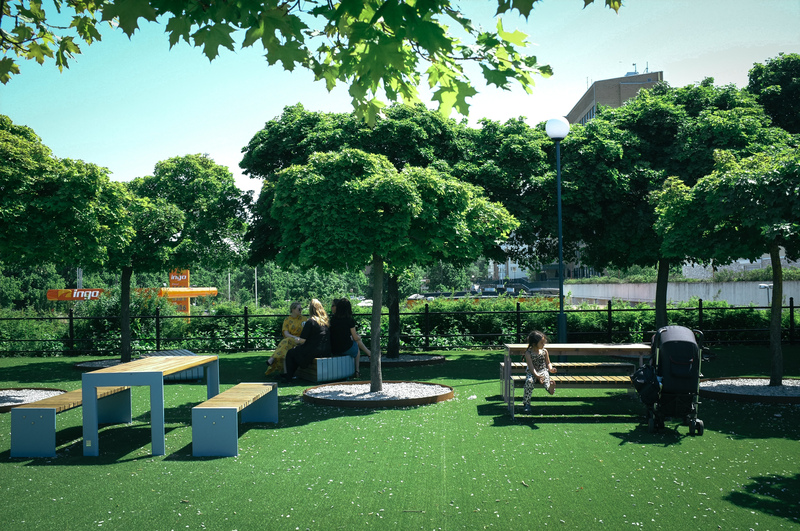 In the redesign of Biblioteksplatsen (”the Library place”) and Tandläkarplatsen (”the Dentist place”) in Rosengård, Malmö, Disorder has facilitated a process that involves residents of the neighbourhood and raises voices that are usually not heard in urban development processes – children and young people. The sites were chosen in cooperation with local associations, they were earlier in decline but had great potential in becoming central meeting places. 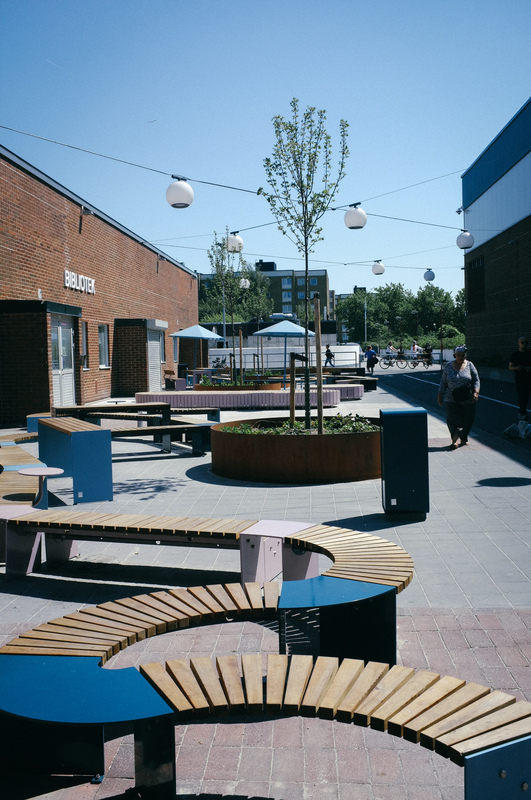 Disorder has worked closely with local associations and residents, mainly through the local library Rosengårdsbiblioteket and the youth center Tegelhuset, to explore the places collectively and understand the needs and wishes of the residents. 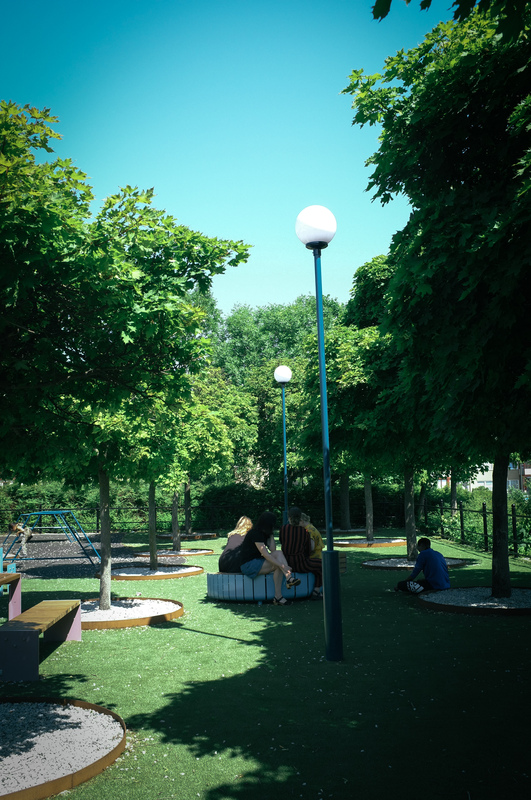 The process led to a permanent transformation based on children and young people’s visions. The sites were previously used primarily by men and the ambition to pursue an equal process, the only way to create gender equality places was therefor basic. 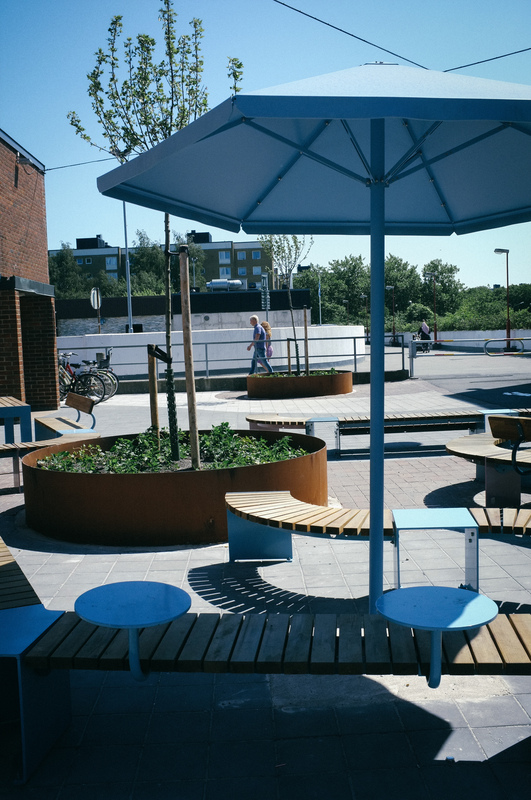 Biblioteksplatsen – is a place filled with color, shape and lighting. 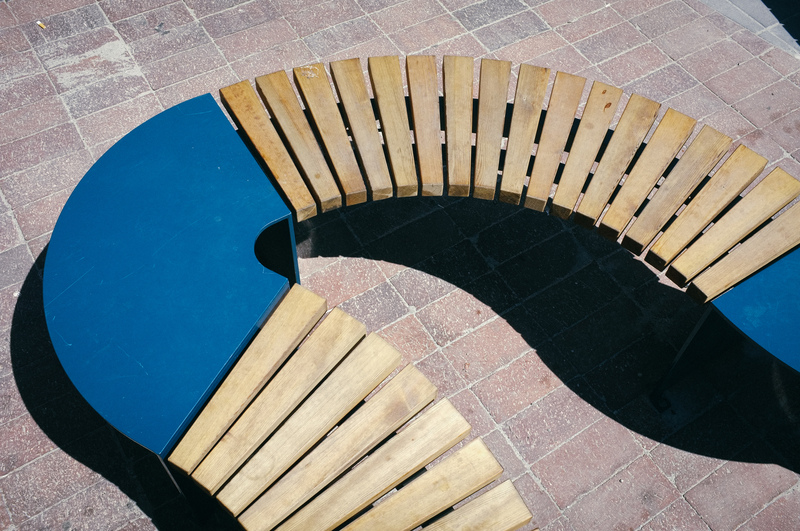 It is a social place where all furniture works as both seating as well as play structures. Tandläkarplatsen – just like the Biblioteksplatsen, Tandläkarplatsen is a place filled with color, shape and lighting. 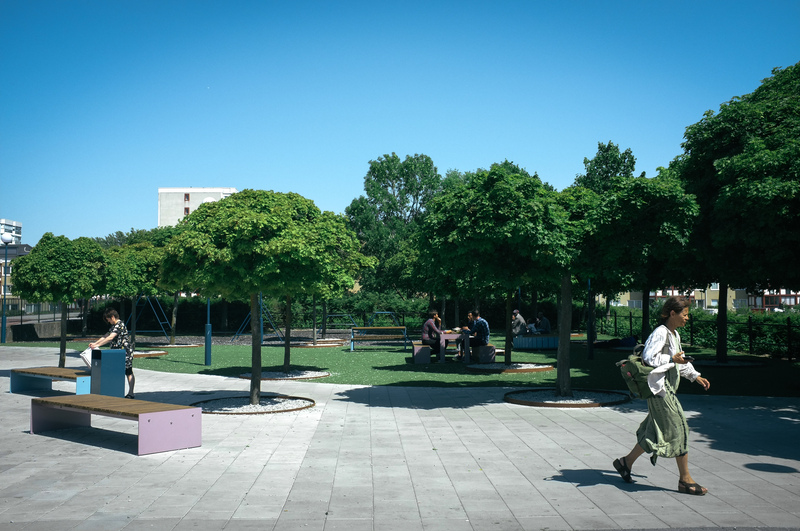 Tandläkarplatsen is a slightly more active place with among other things an outdoor gym/playground.